Originally, Kindle is Amazon’s e-book reader device. It has been built specifically for reading electronic books, so the E-Ink display of Kindle is designed for comfort when reading wherever you are. They are now in the their 4th generation, with a noticeable feature of touchable screen. Amazon has huge Kindle Store that you can browse for interesting books, sample the first chapter, purchase the book, and download it to start reading in less that 60 seconds. With any 3G model of Kindles, you can be anywhere in the world where you still have access to Mobile Network (mobile phone cellular network), browser Kindle Store and purchase books right then and there. The good thing about Kindle’s 3G? It’s all free, no monthly fee whatsoever. 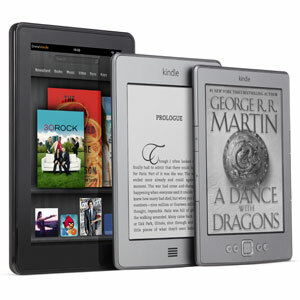 Kindle Fire, that is recently announced, is a new type of Kindle device added to the categories. It’s basically a low-budget tablet, or a high-end content (including e-books) viewer. As any other electronics gadgets, there are developers out there who have successfully find ways to break into Kindle, or jailbreak it, and then write apps, little tweaks, tricks, and tricks to extend its functionalities even wider. For instance, with ported Cool Reader 3 app, you can view EPUB files on kindle natively! These things are what make electronic gadgets interesting to me. I’ll compile these tips, hacks, tweaks, and published them in a way that normal people (non-geek) will understand and are able to follow them.